Indeed 2017 has tested Mexico- from Trump and renegotiations of NAFTA, to earthquakes which rocked the entire country. However, Mexico is resilient and has firm foundations in place to face such challenges and 2017 has only been an example of this: GDP has continued to grow and been revised upwards at least twice this year. Mexico has developed into one of the major global economies, and does not have plans to slow down. Mexico remains very much open for business, as we can see from its Free Trade Agreements (FTA) with 45 countries. Crucially, a new FTA with the UK is expected post-Brexit. 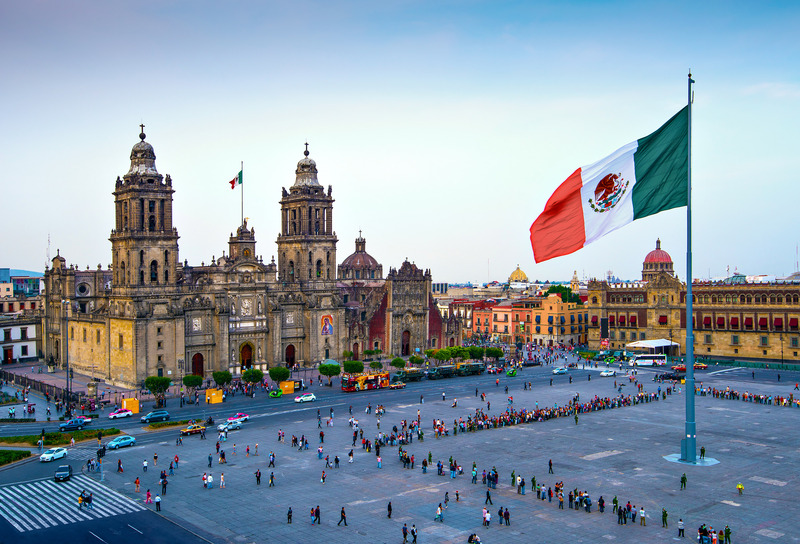 Mexico is financially stable and the country has one of the lowest rates of inflation in Latin America. It is also important to note that one of the main reasons for the country’s growth is the competitive nature of labour and manufacturing costs; Mexico is now four percentage points cheaper than China for manufacturing. The energy sector is very important to Mexico. The country has seen many positive changes since the 2013 reforms ended the Pemex monopoly and opened the sector’s doors to foreign investment. Companies from over 10 different countries have been involved in the first 8 rounds of oil and gas tenders. Round 2.4 of the tenders will take place on 31st January 2018 and will see companies bid for deep water oil and gas projects in the Gulf of Mexico. Other exciting news includes Pemex’s recent onshore oil find, its largest for 15 years, and the opening of petrol stations by both Chamber Members BP and Shell as retail of oil and gas was also opened up to the private sector. This year has been so successful that BP plans to open around 1,500 more in the next 5 years, and Shell expects to open between 1 and 2 gas stations each week in 2018. As well as the opening up of the oil and gas markets, the renewables market is also an important part of Mexico’s future plans. Mexico’s national goal is to source 35% of the nation’s power from clean technologies by 2024. It is for this reason installations of wind turbines will surge to 5000 megawatts in 2018, from 700 megawatts in 2017. Touching on other sectors, we are not disappointed with 2017’s achievements. Mexico has the 7th largest automotive sector in the world, with a record breaking amount of cars manufactured up to September 2017 (2,829,761 cars, 9.8% increase from 2016). Mexico’s biggest retailers such as Liverpool are in expansion mode as Mexico’s total household spend is higher than the UK with 47% of the Mexican population now considered middle class. The construction industry continues to grow despite NAFTA renegotiations and many opportunities arose in 2017. The construction of the New Mexico City International Airport (NAICM) is due to be completed in 2020, while the Toluca-Mexico City commuter rail has a finish date in 2018. The finance and insurance industry grew by a whopping 7.7% in 2016, and the growth did not stop in 2017. The reform agenda has allowed for domestic and foreign investment, and the new stock market, referred to as BIVA, will be up and running in early 2018. Furthermore, Mexico is the only Latin American country among the world’s top 20 creative goods exporter, the $20 billion USD Mexican IT services sector is set to outpace the growth of the sector in India and there was a new record in the 2016-2017 tourism sector as 35 million international tourists visited Mexico. So, yes, we cannot deny there have been some unsettling moments during 2017 here in Mexico, but business continues as usual. The British Chamber of Commerce is very excited for 2018, and we are always ready to help those who decide on marvellous Mexico as their next business destination.